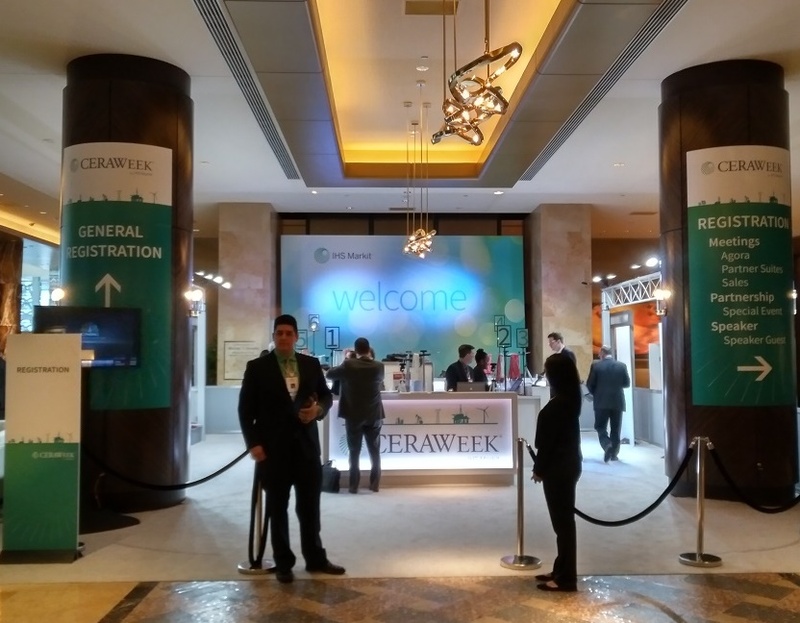 The Oilholic is back in Houston, Texas for the 2017 instalment of IHS CERAWeek; one of the world’s largest gatherings of oil and gas policymakers, executives, movers and shakers alike. An early start to an empty lobby (see left) and a late finish (as yet to follow) are all but guaranteed, and it’s only day one! The morning began with the International Energy Agency’s Executive Director Fatih Birol telling us another supply glut courtesy of rising US shale production was around the corner (report here). Then Indian Petroleum Minister Dharmendra Pradhan told scribes it was an oil buyers’ market as far as he was concerned, and that he is not averse to the idea of India buying crude from the US, now that Washington permit unrefined exports. Take that Opec! (More here). By the way, a rather large Russian delegation appears to be in town, led by none other than energy minister Alexander Novak himself. When put on the spot by IHS CERA Vice Chairman Daniel Yergin, the Kremlin’s top man at CERAWeek said Russia will achieve a 300,000 barrels per day (bpd) production cut by the end of April. However, Novak said Russia will not decide on extending its production cut deal with Opec and 10 other non-Opec producers until the middle of 2017. 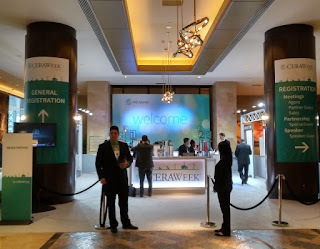 That’s all from CERAWeek for the moment folks. Keep reading, keep it ‘crude’! © Gaurav Sharma 2017. Photo: Entrance to IHS CERAWeek 2017 in Houston, Texas, USA © Gaurav Sharma.